Home ivanovic tennis Ana Ivanovic - Heading Back to the Top? 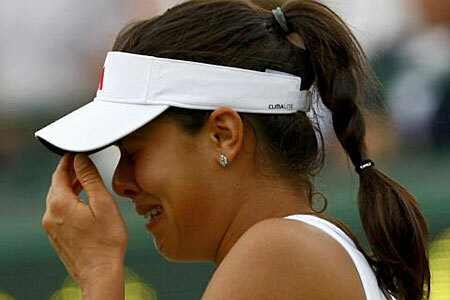 Almost 20 months ago, I wrote about the decline of former number one, Ana Ivanovic. In two years, she had plunged from the top of the world, having lifted the title at Roland Garros, to relative obscurity. Falling outside the top 60 in the world, the confidence and swagger that had led her to three Grand Slam finals seemingly gone for good. The article was published on the eve of Ivanovic’s second round match against Yaroslava Shvedova in Cincinnati in late August 2010. Going into the match, Ivanovic had not won consecutive matches in four months, her serve had deserted her and her emotions threatened to derail her at the merest hint of problems on the court. The truth, as ever, was a combination of both of these. She would successful see off Shvedova. Indeed, she would progress to the last four of the tournament – matching her best run in a tournament for over two years. Weeks later she would successful reach the second week of a Grand Slam for only the second time since winning in Roland Garros in 2008. Her year reached a peak when she won her first title in two years in the small Austrian town of Linz, before ending the season as the champion in Bali, the second-tier year-end championships. She finished the year back inside the top-20 at number 17 in the world. It seemed as though she had answered my question – it was most certainly the beginning of a revival. However, things have never been straightforward with the Serb, and 2011 would be a disappointing season, where she failed to make a final and finished the season back outside the top 20 again. Was late-2010 merely yet another false dawn for Ivanovic? Her form in 2012 has been promising though. She reached the second week of the Australian Open before succumbing in a battling performance to the heavily-fancied Petra Kvitova. Coming into the Premier tier event in Indian Wells, she was feeling more confident than she had for a long time. She cruised through the first couple of rounds, as she often tends to do against lower ranked opposition, before coming up against her biggest challenge, Caroline Wozniacki. Wozniacki had beaten her in Dubai in February and her ultra-consistent game posed a real problem for the often-erratic Serb. However, she produced arguably her best performance in years. Her main weapon – her powerful forehand – was deadly, producing winners at will, and she was even stepping into her backhand and hitting winners. Even her serve was on-form. The 6-3, 6-2 scoreline flatters Wozniacki somewhat – it was a complete demolition of a top-class player. There was no comedown after that match. She saw off Marion Bartoli in the quarter-final to set up a match against Maria Sharapova. Amazingly, the two glamour girls of ladies tennis had not faced each other for four years, since Sharapova beat Ivanovic to clinch the 2008 Australian Open title – a match that still haunts Ivanovic. This time around, the two ladies would play only one set, before a glute injury forced Ivanovic to retire. However, it was arguably the highest quality set of tennis in the entire tournament. Ivanovic was sending her forehand arrowing into the corners of the court like tracer bullets, but Sharapova was on top-form and responding in kind. Sharapova would take the set 6-4. In Miami, she again cruised through the opening rounds, before eventually losing to Venus Williams in an epic three set encounter. However, she can retain hope in the fact that she was only broken four times in those three sets. Given the fragility of her serve only months ago, she will be pleased with that outcome against an opponent of the calibre of the elder Williams sister. However, the most intriguing aspect of this new dawn is still to come. The clay courts have always been Ivanovic’s favourite surface. 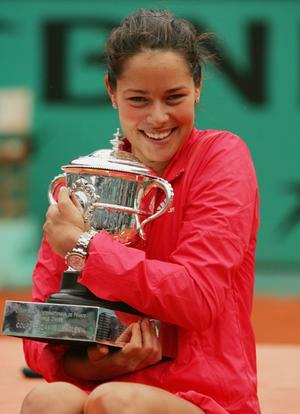 She reached the final in Roland Garros in 2007, before winning the title in 2008. In her darkest moments in 2010, she was still able to battle to a semi-final spot in the WTA Premier tier event in Rome. 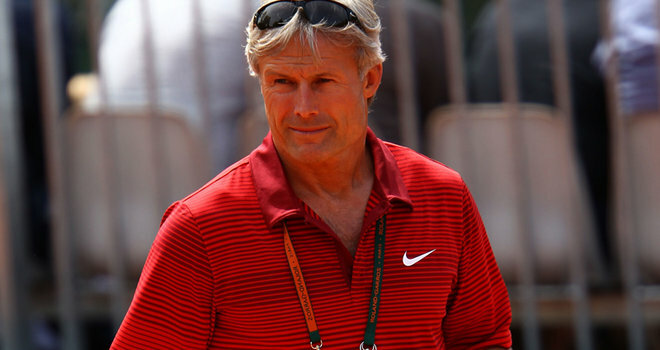 None of the current leading lights of the women’s game can profess to enjoying the clay as their favoured surface. Victoria Azarenka has never had much success on the dirt. Petra Kvitova and Maria Sharapova undoubtedly prefer the grass and the hard courts. Neither of the Williams sisters particularly like the clay, while the defending champion, Na Li, has barely registered since lifting the title last May. Could this be a chance for Ana Ivanovic to really boost her season? A series of good results on the clay, culminating at Roland Garros, could provide the points to shoot her up the rankings. Her confidence is arguably at its highest level since 2008. The key to this is the combination with her new coach, Nigel Sears, formerly in charge of women’s tennis at the LTA. Rather than immediately focussing on her serve as many of her other coaches have done, Sears has looked to restore confidence in her biggest weapon – her forehand. When her forehand is working, she relaxes and there is less pressure on her serve. When the forehand is misfiring, the ball-toss and serve go to pieces. The results are clear to see. She is hitting the ball more cleanly and with more power than she has for years. And it is being reflected in the serve. While it is still a long way from being perfect, she is serving well. Her defensive play has been improving with her growing confidence. The key is keeping that confidence though. If she does, she will undoubted become a real threat once again. She has reached Grand Slam finals on both clay and hard courts, as well as a semi-final at Wimbledon. She can be dangerous on any surface. With confidence, no player will relish facing her. It is important to remember that she is still only 24-years old. She is coming into her prime. When I last wrote about her, the question was whether she could ever rediscover the joy and the quality to resurrect her tennis career. At the time, even the question of whether she could get back into the top-50 did not have a clear answer. However, the question is now whether she can get back into the top-10 and even challenge in the later stages of Grand Slams once again? If she maintains the confidence and level of play that she has shown in the past few weeks, especially once she gets onto the clay, it would be a brave man to bet against her.